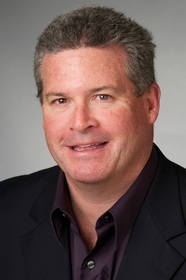 BOSTON, MA--(Marketwired - Jan 14, 2014) - Attendware, the innovator of event management software solutions, announced today the appointment of John Donnelly III as the company's first ever Chief Revenue Officer. In his new position, Donnelly will focus on growing Attendware's existing revenue streams in education and non-profit and expand the company's presence in new markets. Donnelly is Founder and CEO Greg Skloot's first seasoned executive hire. "Attendware has experienced rapid growth this past year and we are at the point where we need a seasoned executive to further develop and mature our organization," said Skloot. "John brings more than 20 years' experience to our young and innovative team." "We are thrilled to have John join the Attendware team driving all of the commercial activities. John has a successful track record of building go-to-market engines and helping promising early stage companies to grow rapidly. With its innovative and cost effective event management solutions, Attendware is already experiencing rapid growth with organizations that want to run high quality events, save time and money while automating the mundane work of manual attendee check-in and badge printing. John is the perfect senior executive to help guide Attendware to the next level and fundamentally change the way people manage events," said Maria Cirino, Managing Director .406 Ventures and Attendware's lead investor. Donnelly comes from Kaazing Corporation where he was the Executive Vice President of Global Sales, Marketing & Business Development. Prior to that he served in executive sales positions including Head of Global Sales of Cloud Automation at Cisco & EVP at Linesider, EVP Global Sales and Marketing at MetaCarta (now Nokia), and VP Sales and Business Development at Interwise (now AT&T). Attendware provides online software that helps event organizers produce high quality events by simplifying and automating event management processes. The company's innovative software eliminates the mundane tasks of onsite event management and has proven to increase attendance, decrease event costs and free up onsite resources. Northeastern University, United Way, BMW, and the University of Virginia are just a few organizations that are using Attendware. The company is backed by .406 Ventures and is headquartered in Boston, Massachusetts. For additional information, please visit www.attendware.com.